The application of information and communication technologies to road transportation systems can significantly improve safety and traffic flow. This requires setting up vehicle-to-vehicle (V2V) and vehicle-to-infrastructure (V2I) communication links. Two technologies, based on the IEEE 802.11p and on the long-term evolution for vehicular communications (LTE-V) standards, have been proposed for this purpose. 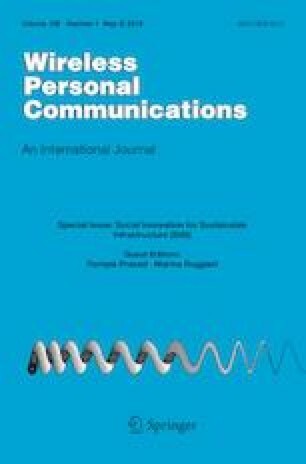 This paper analyzes the relation between the characteristics of vehicular communication channels and the parameters of the referred systems, with particular emphasis on the physical and medium access control layers. To this end, the primary factors that influence V2V and V2I channels and their main characteristics are firstly described. Illustrative results for a highway scenario, as well as a summary of the channel parameters reported in the literature, are given. The employed modeling approaches are then reviewed and representative examples of the two foremost strategies are provided. The key parameters of the IEEE 802.11p and LTE-V physical layers are then summarized and its suitability to deal with the time and frequency selectivity of vehicular channels is compared. Distortion caused by the time variation of the channel is examined and design challenges related to important aspects like synchronization, multiple access interference and channel estate information estimation are discussed. This work has been supported by the Spanish Government (Ministerio de Economía y Competitividad) and FEDER under grant TEC2016-80090-C2-1-R and by the Universidad de Málaga. Eurostat. (2018). Persons killed in road accidents by type of road (CARE data). Available online https://goo.gl/6f9cVT. Accessed 23 oct 2018. Department of Transportation. (2018). ITS Joint Program Office, Connected vehicle benefits. Available online https://www.its.dot.gov/factsheets/pdf/connectedvehiclebenefits.pdf. Accessed 23 oct 2018. Qualcomm. (2018). V2x technology benchmark testing, available online https://www.qualcomm.com/media/documents/files/5gaa-v2x-technology-benchmark-testing-dsrc-and-c-v2x.pdf. Accessed 24 oct 2018.